Energy Report Update-June 4th, 2018 by Tiffany Stiles. We have gone Quantum! Dear Beautiful Souls! We are going quantum over the past two weeks! We have a multitude of frequencies bombarding us in which all serve a different purpose in our physical body ascension and acclimation to New Earth. We have the fluidity of photons bouncing around our cells converting to plasma. 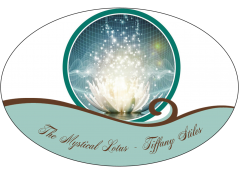 This occurs now due to … Continue reading Energy Report Update-June 4th, 2018 by Tiffany Stiles. We have gone Quantum! Energy Shift Report~ It’s Time To Push The Reset Button! Dear Beautiful Souls! Are you ready for when the clock strikes midnight this upcoming New Year’s Eve on December 31st? The Universal energetic wave will shift again, and everything will change towards a new energetic pulse. The time we are in now is a zero point. A time of rest, contemplation, and introspection. As you've … Continue reading Energy Shift Report~ It’s Time To Push The Reset Button!